Do you like Trivia? How about Circus Trivia? The Ringling Bros. Barnum and Bailey Circus comes to Banker's Life Fieldhouse every year. We visited in the year of Dragons. Before we went, we caught up on some Circus Trivia. Scroll down to see how much you know about the Circus. Enjoy! 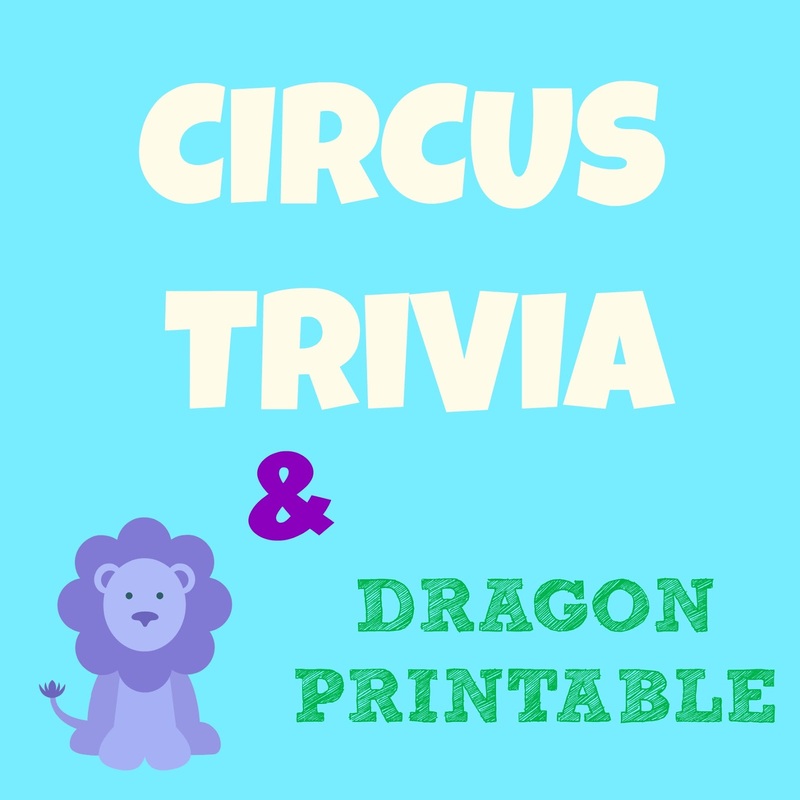 Circus Trivia Questions: Cute Dragon Clipart Printable. So, how far away can a lion's roar be heard? 1) What four virtues are required to summon a dragon to Ringling Bros. and Barnum and Bailey® Circus? Answer: Strength, Courage, Wisdom and Heart. 2) How far away can a lion’s roar be heard? 3) Kung Fu movements are based on fighting tactics of what animals? Answer: Tiger, Snake and Dragon. 4) What Ringling Bros.® animal has 4 teeth each weighing the same as a nine-pound bowling ball? Answer: Asian Elephant. 5) What Ringling Bros. performer has an average shoe size of 28EEEEE? Answer: A Clown. 6) Shaolin Warriors performing in Ringling Bros. Presents DRAGONS practice how many hours a day? Answer: 7 hours a day. 7) What circus apparatus is most like a playground seesaw*? Answer: A Teeterboard. 8) What are considered BIG CATS? 9) How many bags of popcorn are consumed in each city that Ringling Bros. visits? Answer: Over 1,000 pounds of Popcorn. 10) What is the average span of a tiger’s swipe? We were just at the Ringling Brothers Circus last night!! I'm excited! We are going this week.